It’s more complicated than you think, Larry. Over at Alex on Film I’ve been watching a bunch of werewolf movies lately. 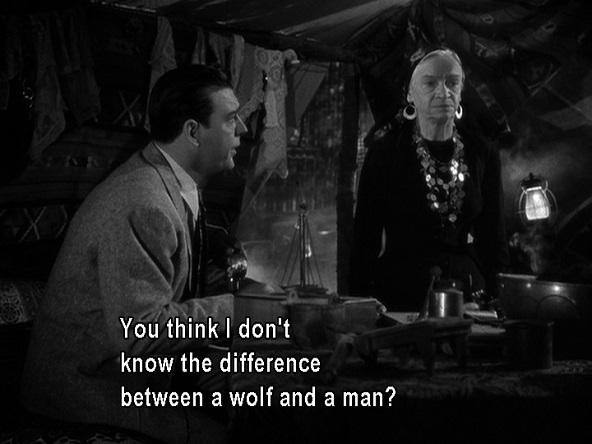 The werewolf, or wolf man, has proven to be a durable movie monster, in large part due to his plasticity. He can be mostly wolf or mostly man, sympathetic or wholly evil, as the case requires. The basic idea is that there’s something violent and predatory latent within all of us (or at lest all men, since it’s mostly a male phenomenon). Under the right circumstances the beast will out. Haven’t we all felt that way, every once in a full moon?